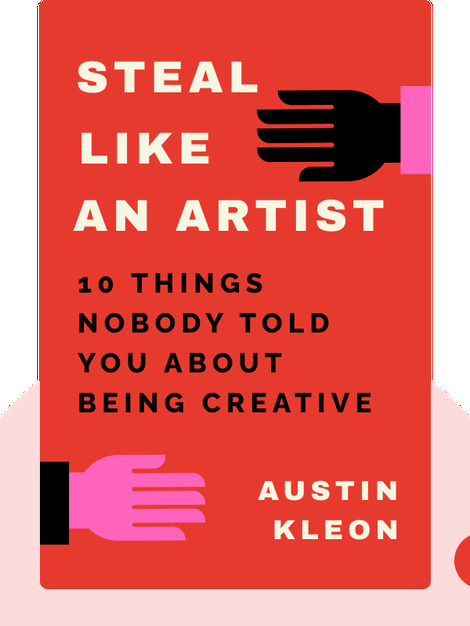 Steal Like an Artist (2012) will help you unlock the secret to creating great art: theft. No artist creates their work in a vacuum: all art is influenced by the art that came before it. 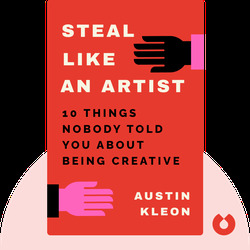 Steal Like an Artist teaches you how to “steal” from the work of your heroes, and use it to create something new and unique. It also provides important advice on using the internet to launch your career, so others can enjoy your creativity! Austin Kleon is an artist, writer and poet. His work has been featured in the Wall Street Journal and Morning Edition, and he recently published a book of poetry entitled Newspaper Blackout.